February 27 is International Polar Bear Day. There's no denying I love the big white bear, so in honour, I'm sharing 15 facts about polar bears. I hope you learn something new and are inspired to to protect this iconic species. Polar bears live in the circumpolar north, in areas where they can hunt seals on the sea ice. They are found in Canada, the U.S. (Alaska), Greenland, Russia and Norway. Biologists estimate there are roughly 20,000 to 25,000 polar bears in the world, 60% of which live in Canada. Contrary to media portrayal, polar bears and penguins live at opposite poles and would never meet. Polar bears are only found in the north, and penguins are only found in the south. 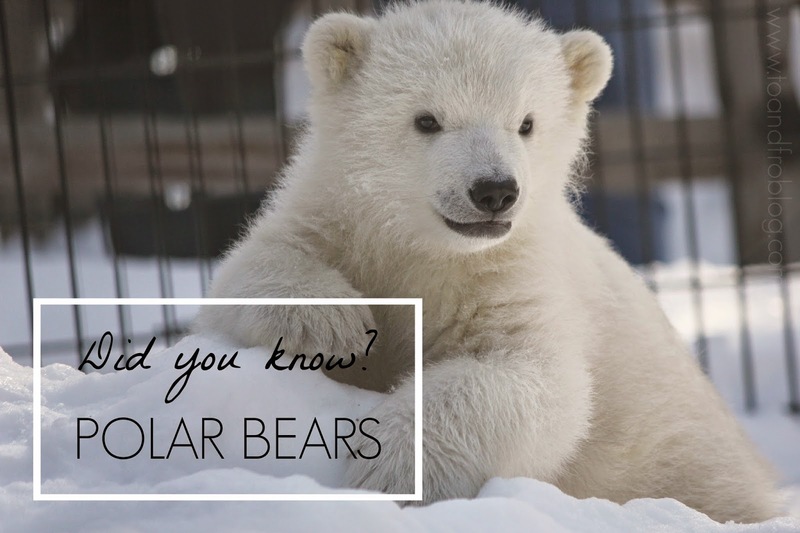 The scientific name for polar bear is Ursus maritimus, which means "sea bear". It is the only bear considered a marine mammal (dependent on the ocean for survival). Polar bears' fur consists of a dense, insulating undercoat topped by guard hairs of various lengths. It is not actually white—it just looks that way. Each hair shaft is pigment-free and transparent with a hollow core that scatters and reflects visible light, much like what happens with ice and snow. Polar bears have black skin and a layer of fat (not blubber) that can measure 4.5 inches thick! 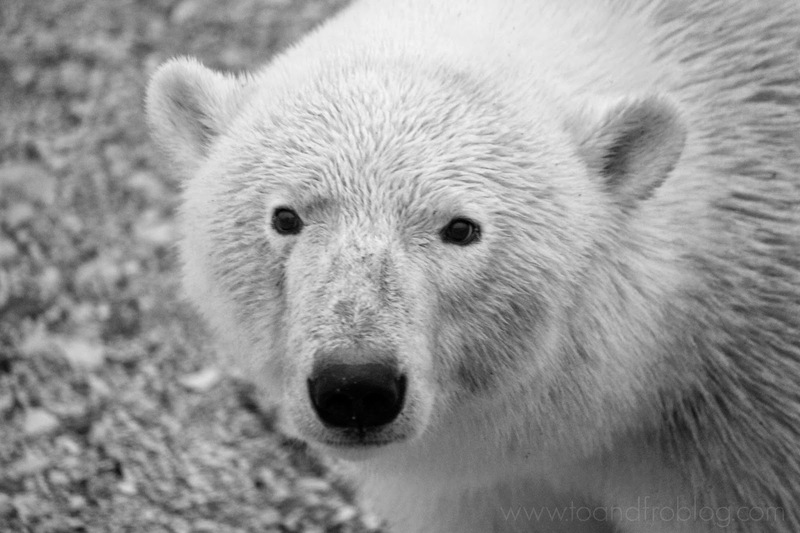 A polar bear has very keen senses of smell, vision and hearing. Heightened senses help bears survive in Arctic conditions. The polar bear's main prey is the ringed seal. They depend on sea ice for access to seals, hunting by waiting for the seals to surface at an openings in the ice or at a breathing hole. Polar bears' lives are a cycle of feasting and fasting. In the winter, the bears are out on the sea ice hunting. When the sea ice melts, polar bears are forced onto land. With no access to seals, they are fasting on built up fat reserves. When hunting is good, polar bears can eat 100 pounds of blubber in a single sitting! Polar bears can run as fast as 40 kilometers per hour—but only for short distances. With the exception of pregnant females, polar bears do not overwinter in dens like brown and black bears. 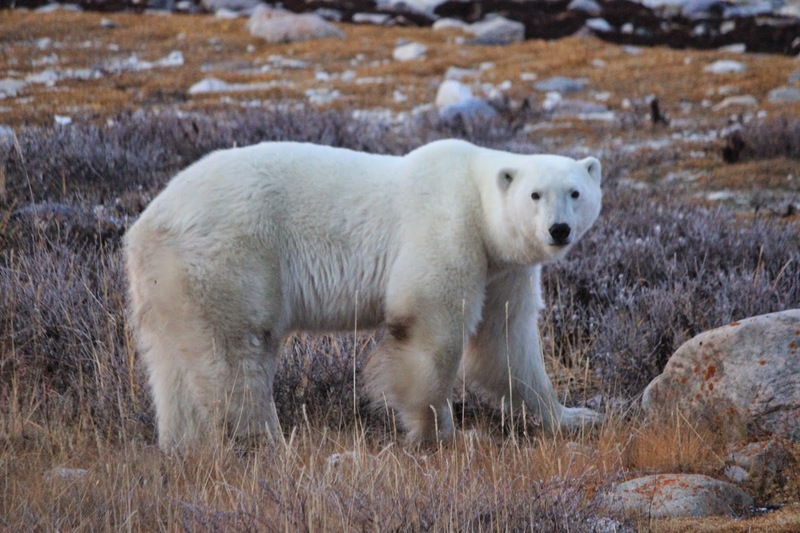 Instead adult male polar bears and non-pregnant females remain active throughout the year. Mating takes place on the ice in April or May, but the fertile ova do not implant until the following fall. This is called delayed implantation. Females usually bear two cubs about two months after they enter the maternity den, usually by early January. These cubs weigh a pound at birth, and quickly grow to over 20 pounds in 3 months by feeding on mom's milk. In May 2008, the U.S listed the polar bear as a threatened species under the Endangered Species Act, citing sea ice losses in the Arctic from global warming as the single biggest threat to polar bears. If we do not reduce our green house gas emissions and the planet continues to warm at the current rate, 2/3 of the world's polar bears will disappear by 2050. Do you like polar bears? Did you learn something new? Polar bear facts courtesy of my friends at Polar Bears International. 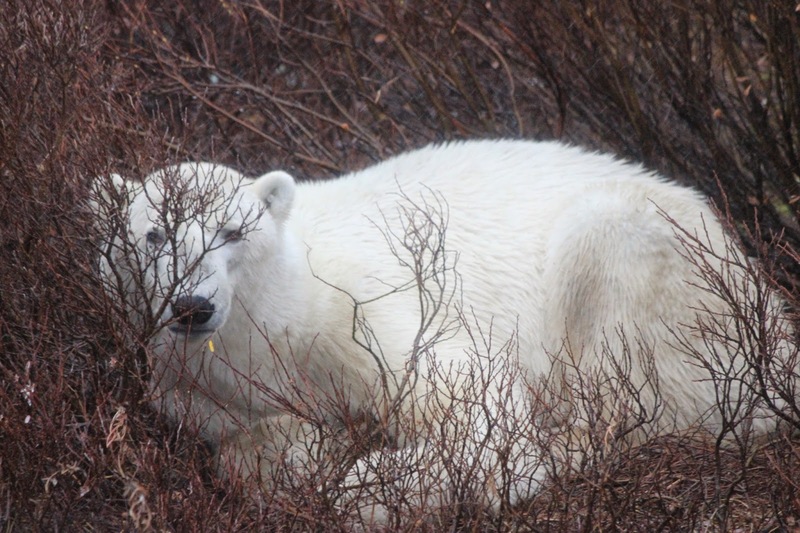 For more information on polar bears or viewing polar bears in the wild, start here. I cannot imagine a world without polar bears. I'm definitely all about animal conservation. Thank you for sharing these facts! Interesting facts! I had never thought of the overwintering thing before - I just assumed all bears did it but didn't really think about the logistics for polar bears! I never knew that polar bears and penguins lived on opposite poles!